This adaptable car seat can be used in the rear-facing position from 5-40 pounds, and includes a comfy grow-with-baby pillow to give a smaller baby a snug fit. The pillow easily removes when no longer needed. Once in forward-facing mode, the Continuum keeps your child safer in the harness up to 50 pounds. 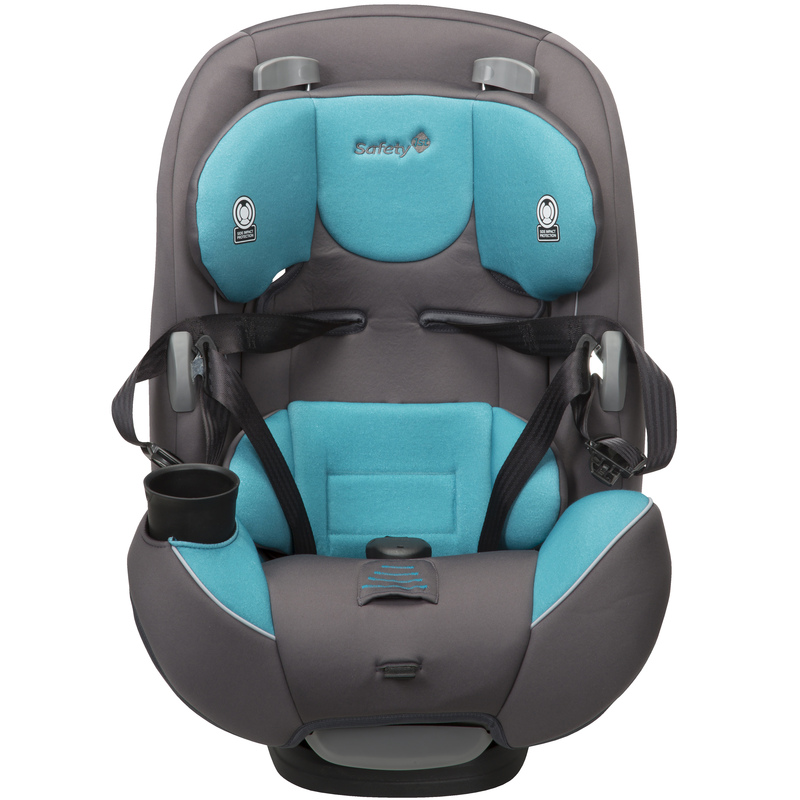 When your child is ready to transition to vehicle seat belts, simply remove the harness to use the Continuum 3-in-1 Car Seat in belt-positioning booster mode all the way up to 80 pounds. In both rear-facing and forward-facing mode, harness holders keep the harness in an open position. This makes it easier for you to get your child in and out of the car seat. No more fishing for the harness and clips from behind your child – they’re right there when you need them. The QuickFit Harness offers additional convenience in both of these stages by letting you adjust the height of both the headrest and harness in one quick and easy step, making it simple to give your growing child the best fit. In booster mode, the headrest still adjusts easily on its own so that you can continue to get the best fit for your child.